This week we have introduced the Ymir’s Pass gameplay content update to the live Age of Conan servers. Here there are hours upon hours of more adventure to be had, adventure that has been tailored for characters in the mid-to-late fifties. The vast new area is packed full of new locations, quests, monsters and - of course – glorious loot! Ymir’s Pass is an entirely new Cimmerian outdoor region. Not only will you explore a vast new area of land, you will also have the opportunity to explore a dramatic storyline by completing a series of new and exciting quests. As you gain levels and unravel the mysteries of Ymir’s Pass, you will also get access to a new dungeon – The Amphitheater. 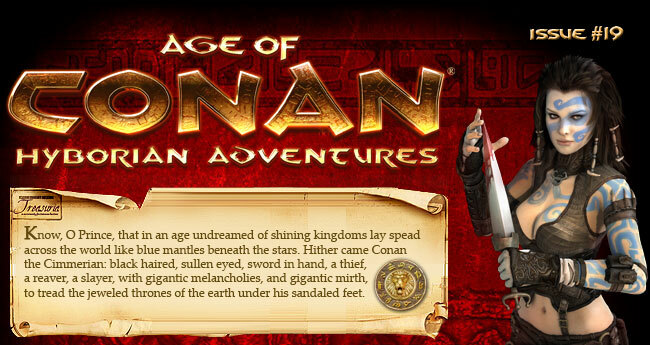 Ymir’s Pass and all content associated with it will be automatically downloaded to your computer when you launch Age of Conan. Good luck, adventurer!